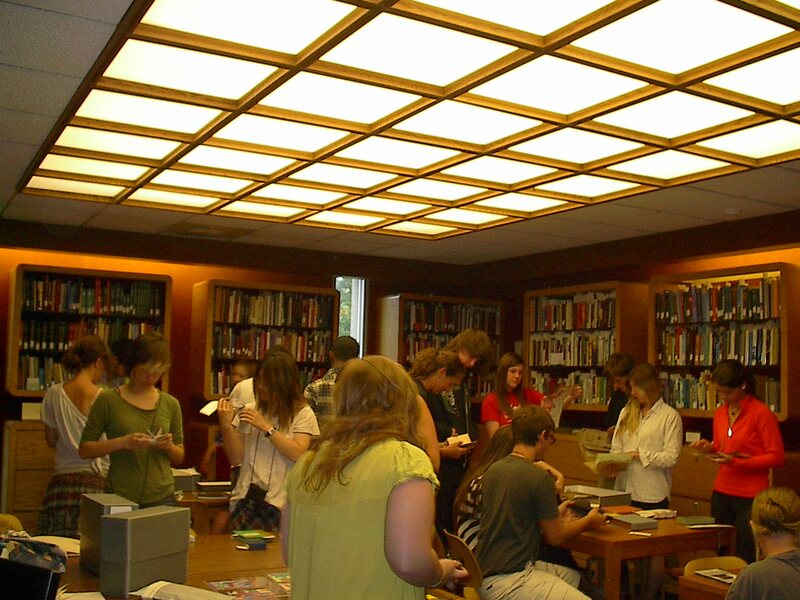 What does Special Collections look like? 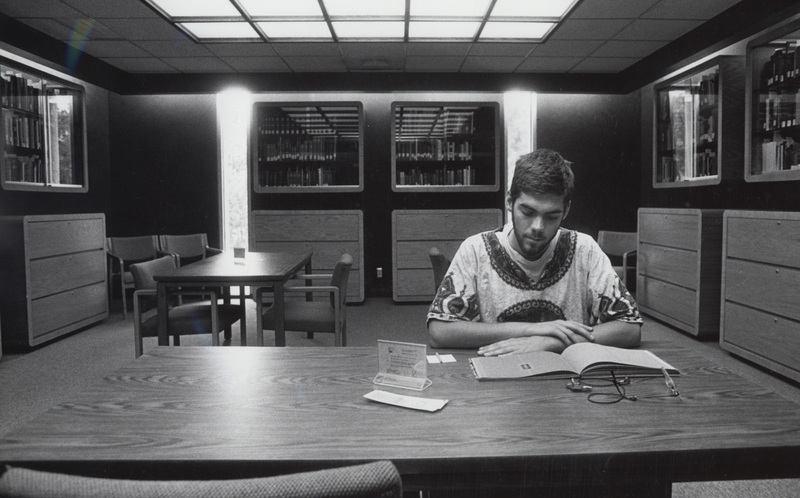 With plans afoot to renovate Tutt Library in the near future, we thought it might be fun to document the spaces Special Collections has inhabited over the years. 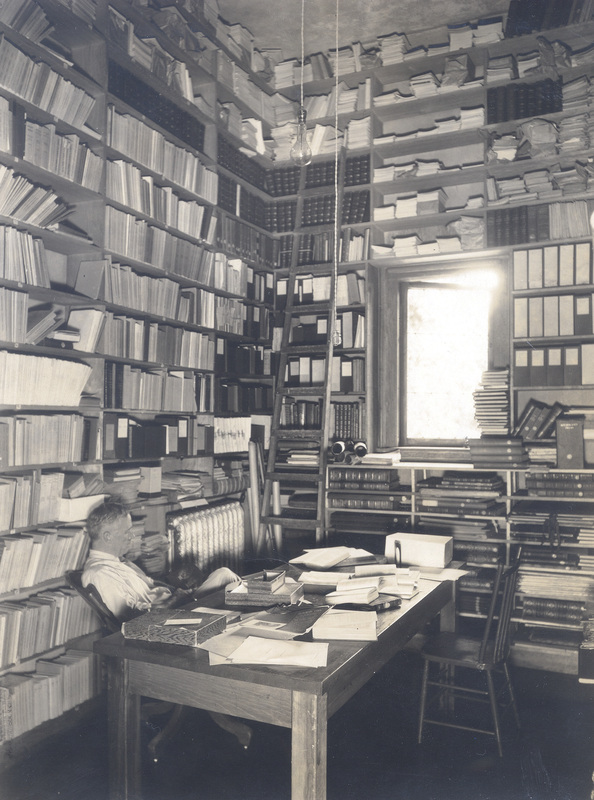 In Coburn Library, we had the Colorado Room, home to Professor Archer Butler Hulbert’s books and often the professor himself. 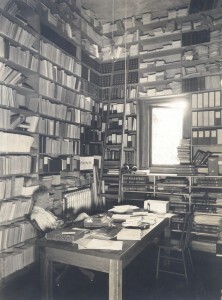 Hulbert taught history at CC from 1920 until his death in 1933. He published many books on the American West and Southwest, including The Forty-Niners and the Overland to the Pacific series. 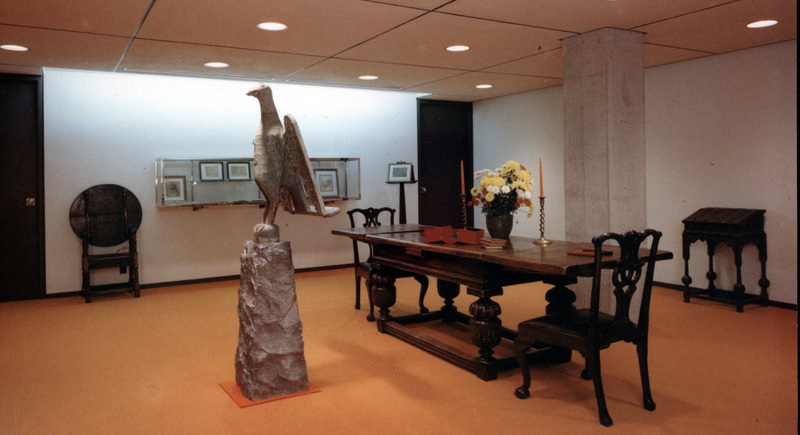 Coburn was built in 1892, renovated in 1940, and razed in 1964, so that was the end of the Colorado Room. The architects’ plans for Tutt Library, built in 1962, contained a small Special Collections area adjacent to a Smoking Lounge [!]. The main room was used primarily for display. 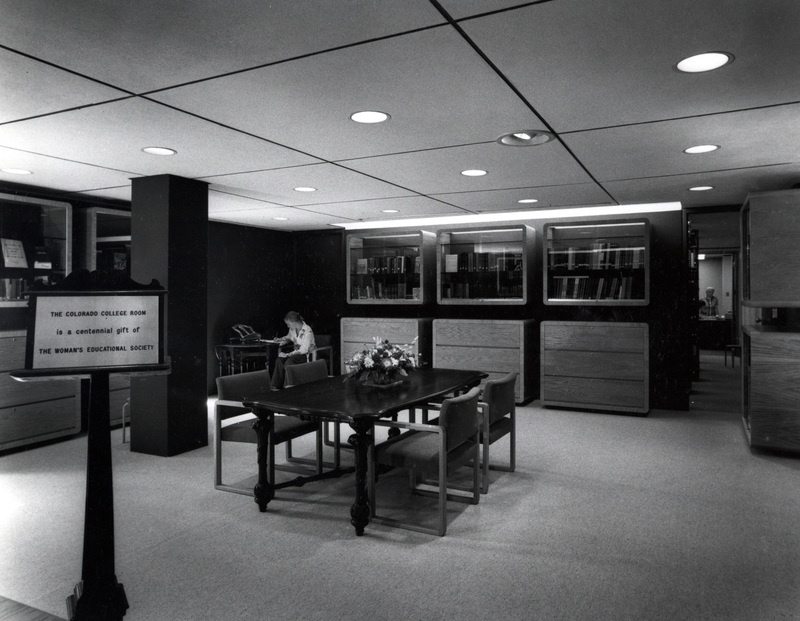 In 1977, the Woman’s Educational Society funded custom-built wooden shelves for the area, which was renamed the Colorado College Room. 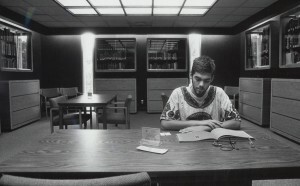 In 1980, when the collections and services of the library outgrew the original Tutt building, the college built “Tuttlet,” an annex to the south. It contains a new Special Collections with the same W.E.S. shelves. and some very busy days (additional shelves built by Dan Crossey). 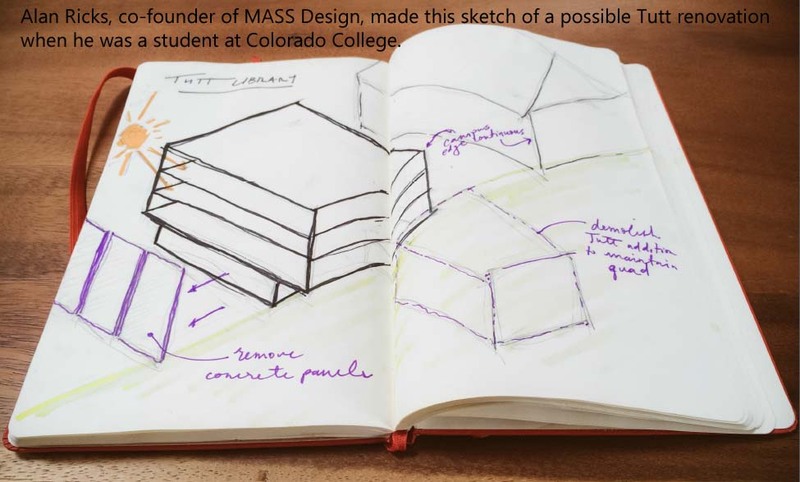 We’re looking forward to seeing what happens next for Special Collections at Colorado College. This entry was posted in Uncategorized on June 4, 2014 by ccspecialcollections.